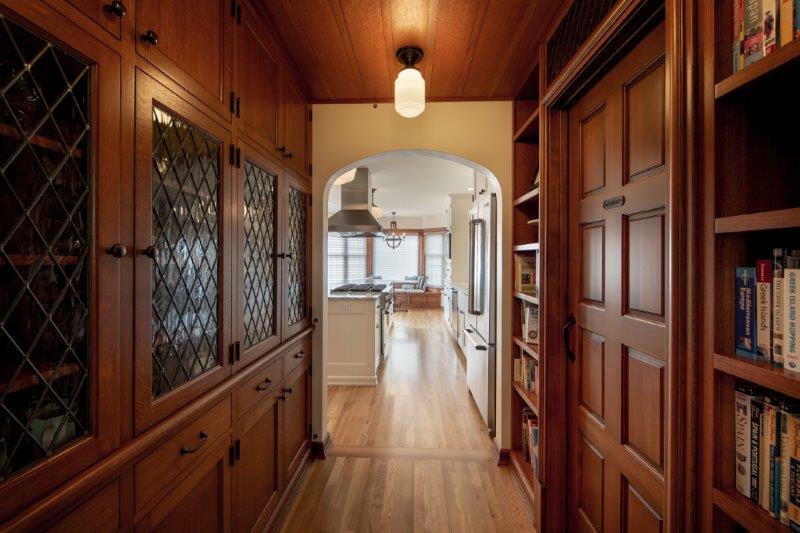 The third and largest phase in the continued remodeling of this 1920s Queen Anne Tudor Revival focused on adding modern kitchen and bathroom amenities with classic details and craftsmanship. A central staircase shows off a one-of-a-kind design and custom moldings. The new addition made room for a master suite and larger kitchen. A guest bathroom and powder room were relocated and revitalized. Every detail was considered in this meticulous remodel.